Husband and wife lawyers Tim and Penny Manock are celebrating a double milestone this month by each marking three decades as qualified solicitors. The couple, who work at Wilkinson Woodward solicitors in Calderdale, were both admitted to the roll of solicitors 30 years ago on 1 October 1988. Tim and Penny met as students on the first day of their law degree course at Leeds Law School and both graduated on the same day. The young graduates then took up roles as articled clerks (trainee solicitors) before qualifying on the same day in 1988. 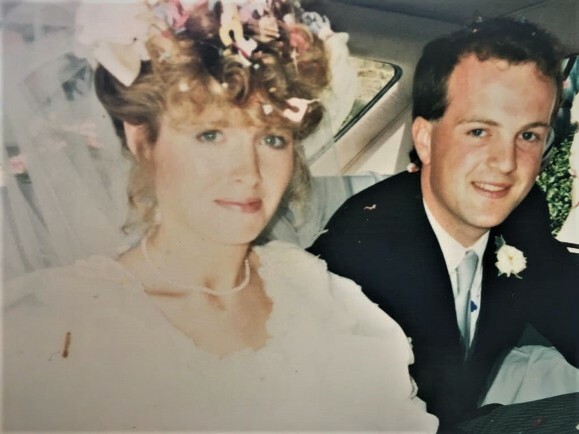 As well as their joint professional milestone, the legal duo recently celebrated their 30th wedding anniversary, having married at St Mary’s Church in Elland on 6 August 1988. Born and raised in Halifax, Penny joined Wilkinson Woodward as an articled clerk in 1986 and has specialised in family law since becoming a solicitor exactly three decades ago. In 1991 Penny became a partner at the firm and, in1996, she qualified as family mediator. Today Penny is based at the firm’s office in Halifax, where she heads up the Family Law team. As a specialist family mediator and collaborative family lawyer, Penny is well known for handling complex divorce settlements for high net worth clients. Tim was brought up in Leeds, attending Leeds Grammar School before going on to study law. After completing his law degree, Tim began his legal career with a Leeds legal practice before joining Skipton law firm Savage Crangle in the 1990s where he later became a partner. Over the course of his career, Tim has developed a reputation in commercial and residential sales, plot sales and commercial law. He is based at Wilkinson Woodward’s office in Brighouse from where he serves an established base of local, regional and national clients.